With this product, you earn 26 loyalty point(s). 26 point(s) = $ 1.56. 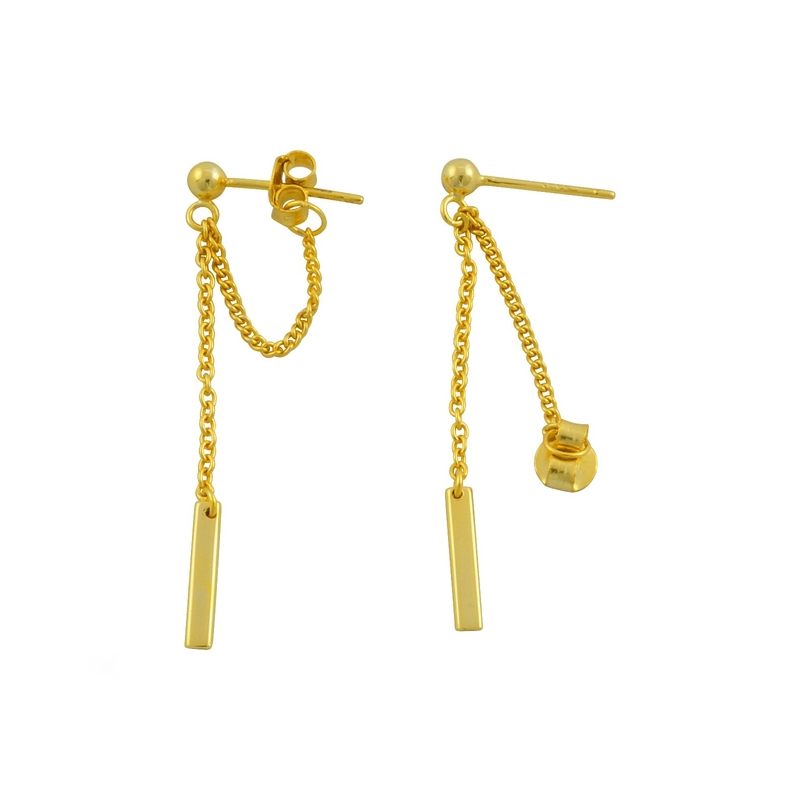 Looped and linear, these 18K gold vermeil earrings offer just enough edge to raise the stakes of a pocket tee or a slip dress. 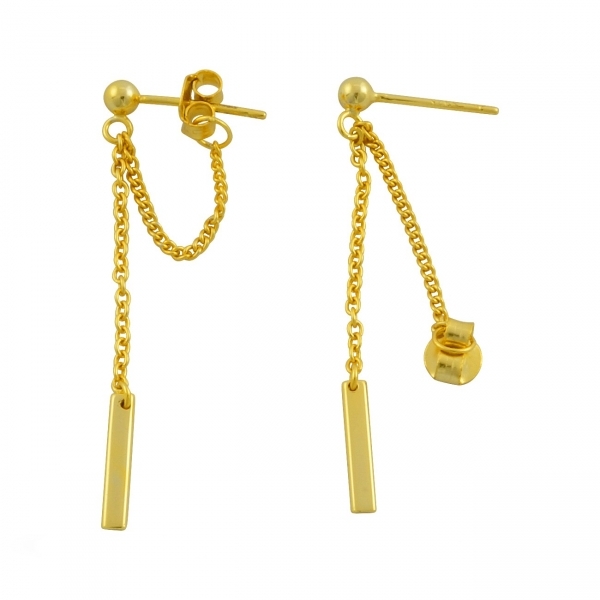 A miniature dome-shaped stud front and vertical stick bottom add dimension to the chains. Pair them with a series of delicate chain necklaces and sweep your hair up to put them on full display.